Since 1975, this cute little local cafe has been providing fresh-from-the-farm healthy and innovative meals, live musical entertainment nightly and a strong sense of community. The Irregardless Cafe logo is as fun and quirky as the cafe itself. Music notes, leaves and fresh food weave throughout one another to create a sort of lattice work behind the typography. The irregular shape of the logo with music notes and food incorporated, typifies the unusual dining experience one will have at the Irregardless Cafe. 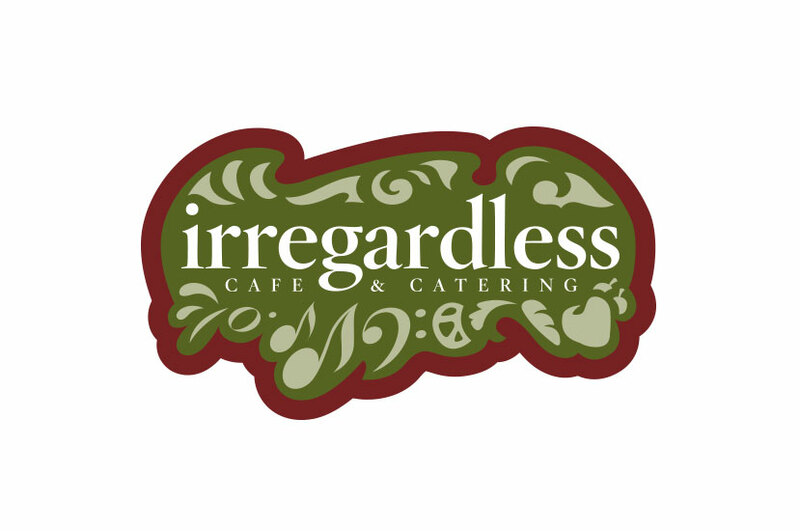 This logo is unconventional, but works perfectly to indicate the services that the Irregardless Cafe provides. Simple typography helps to ground and balance the overall look.